Playing with Hair Dye - Is Nice'n Easy, easy? You are here: Home / beauty / Playing with Hair Dye – Is Nice’n Easy, easy? Playing with Hair Dye – Is Nice’n Easy, easy? Being a member of VocalPoint has its own perks, recently I was asked to try out the new non-permanent hair dye by Nice’n Easy. Since I am all about beauty products and trying new things I was all about trying it out, happily in fact. I received my coupon in the mail and a week or so later I went to the store to pick out which color I wanted. There are 12 shades to choose from, I ended up going with a Medium Brown (#765). Close my natural color that is a dark brown. I usually dye my hair around the medium, maybe a bit lighter, so this would work perfectly. I was more concerned with covering up my grays then the color itself. 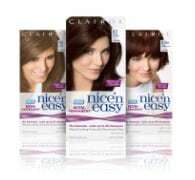 New Nice’n Easy non-permanent washes out within 28 shampoos, so you can feel free to try out different shades to find which one you like the best. 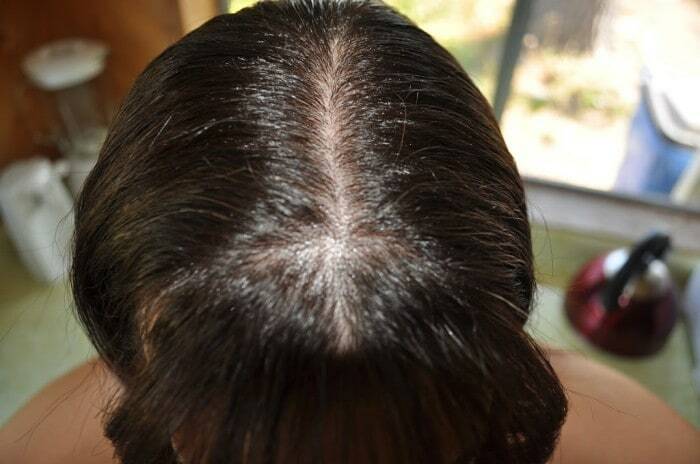 It contains no ammonia and is perfect for those first time users of box coloring. Gives you natural looking tones & dimensional shine. Last night I dyed my hair, it went on well and mixed well, but sadly it dripped more then I am used to when it comes to at-home hair dyes. Happily though that was the only drawback. Otherwise, I was pretty happy with the overall color & how soft and healthy my hair looked after. I love the way the deep conditioner felt after I rinsed out the hair dye. Do you dye your hair? Always wanted to but was a little scared to give it a try? Well try this, since its non-permanent you have no fears if you don’t like the color. Give it a go. Let me know what you think!